In his new book, Flashpoint China, Chinese Air Power and Regional Security, Andreas Rupprecht, author of Modern Chinese Warplanes: Combat Aircraft and Units of the Chinese Air Force and Naval Aviation, attempts to break out of his comfort zone and succinctly capture the complexities of Chinese foreign policy and the geopolitical environment of the Asia-Pacific Region. 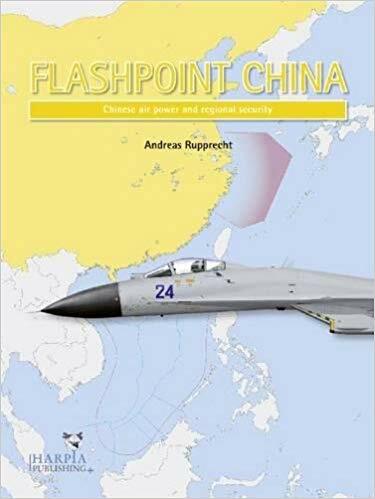 The content of Flashpoint China is predominantly focused on Chinese regional security issues; however, in his introductory paragraph, Rupprecht states the goal of Flashpoint China is to “draw upon” Modern Chinese Warplanes and “offer an overview of potential military conflicts along the borders of the People’s Republic of China (PRC).”2 This is a laudable goal, for even attempting to synopsize the complexity of Chinese military history and foreign relations in a mere eighty pages would challenge the most knowledgeable defense and foreign relations expert. Yet for the most part, Rupprecht succeeds. There are some content areas however that could benefit from further research and development. Following the introduction, Rupprecht utilizes Chapters Two through Five to succinctly introduce the various foreign policy concerns for China in each of its five Theater Commands. Each chapter opens with a succinct description of the nuanced histories behind each foreign policy concern, provides an overview of PLAAF and PLANAF capabilities available to each Theater Command, and closes with well-structured charts of each Theater Command’s PLAAF and PLANAF order of battle. It is through this structured approach that Rupprecht meets his goal of drawing upon Modern Chinese Warplanes and answering the following question: If conflict were to occur at any of the flashpoints, what People’s Liberation Army Air Force (PLAAF) and PLA Naval Air Force (PLANAF) units and platforms are likely to be involved? Over the last two to three decades China’s entire military force has undergone a rapid and unprecedented military modernization campaign designed to transform it into a regionally-dominant and globally-significant force. To further tie his two books together however, Rupprecht would be remiss to not include an update of what has transpired within and across the PLA between the books’ publication dates (2012 and 2016, respectively) in the introductory section of Flashpoint China, specifically how PLA reforms and the subsequent establishment of the five Theater Commands have affected the PLAAF and PLANAF. Additionally, Rupprecht briefly describes concepts such as China’s “active defense strategy” and “anti-access /aerial denial (A2/AD)” (what the Chinese refer to as “counter-intervention”) capabilities. Counter-intervention represents how China plans to “deny the U.S. [or other foreign] military the ability to operate in China’s littoral waters in case of a crisis.”3 Collectively, these organizational, doctrinal, and operational changes should weigh heavily in a book of this nature yet Rupprecht does not fully incorporate their significance in his work. To do this, the author would need to answer the following question: How would PLAAF and PLANAF platforms and capabilities likely be employed to prevent U.S. or other regional forces from intervening in a conflict at any of the flashpoints? Some of these geographical areas and issues carry a higher military priority for China. According to the U.S. Office of the Secretary of Defense (OSD) in its 2017 Annual Report to Congress, “Taiwan remains the PLA’s main “strategic direction,” one of the geographic areas the leadership identifies as endowed with strategic importance [and represents a “core interest” of China]. Other focus areas include the East China Sea [ECS], the South China Sea [SCS], and China’s borders with India and North Korea.”4 And as the strategic importance of a geographical area increases for China so does its allocation of PLA assets. For example, the richness and variety of the geopolitical concerns involving the countries presented in Chapter Two of Flashpoint China (Japan, Russia, Democratic People’s Republic of Korea (DPRK), and South Korea), provide significant examples of historical, current, and potential military conflict for China; however, in Chapter Two Rupprecht doesn’t reflect on the order of strategic priority and therefore the military significance of the Northern and Central Theater Commands. Instead, Chapter Two opens with a very brief paragraph regarding Mongolia, thereby dampening the impact of the chapter’s “flashpoint” narrative. Additionally, the sovereignty dispute over the Senkaku/Diaoyu Islands in the ECS dominates the military significance of China’s foreign policy vis-à-vis Japan; however, Rupprecht merely allocates a single sentence to the situation: “The dispute over the Senkaku Islands – known as the Diaoyu Islands in China – is meanwhile a matter of heated rhetoric and near-open hostility.”5 Since the historical dispute took a dramatic leap forward in April 2012 following the Japanese purchase of three of the eight islets from their private owner, the PLA’s Eastern Theater Command has assumed primary responsibility for this flashpoint area. Unfortunately, Chapter Two mistakenly assigns PLA responsibility for China’s ongoing dilemma with Japan in the ECS to the Northern and Central Theater Commands: “The PLA subordinates responsibility for Japan and the Korean peninsula to the Northern Theater Command and to the Central Theater Command.”6 When the purchase was made public, the PLA immediately began regularly deploying maritime and airborne patrols from Eastern Theater Command bases into the ECS to assert jurisdiction and sovereignty over the islands. 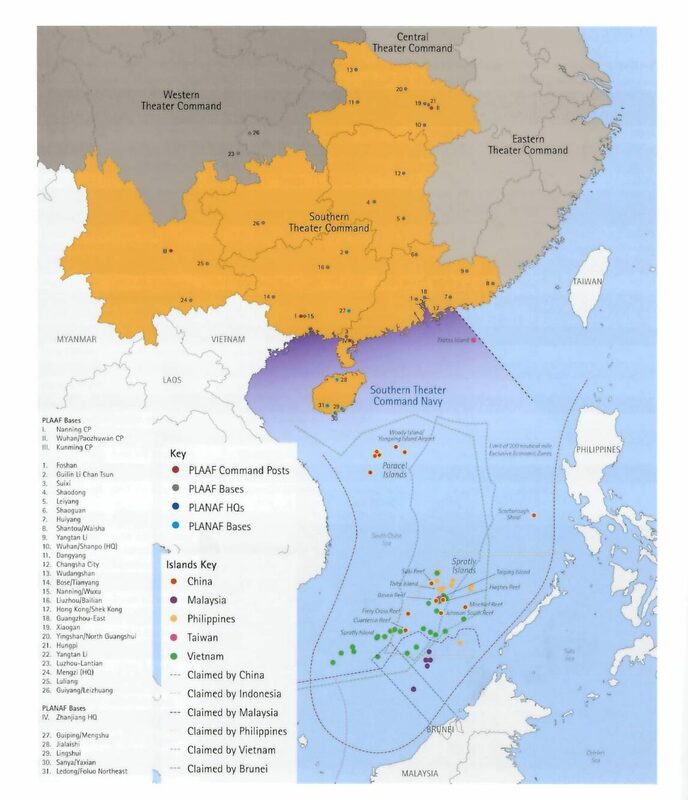 Additionally, as Rupprecht alludes to on page 25, in November 2013, China declared the establishment of its first air defense identification zone (ADIZ) over the ECS which included the area over the disputed islands. Subsequently, both the PLAAF and PLANAF established routine airborne patrol patterns and the use of ECS airspace and the straits of the Ryukyu Islands to conduct long-range, integrated strike training with PLA Navy (PLAN) assets in the western Philippine Sea. Additionally in Chapter Two, Rupprecht aptly describes the history of Sino-Russian relations: “For years, relations between China and Russia have been described as a ‘tightrope walk’, and have frequently oscillated between close friendship and war.”7 However, the author fails to capture the significance of the military connection between Russia and China, especially as it relates to Rupprecht’s stated theme for this book, for China’s military modernization arguably started with mass acquisitions of Russian military technologies in the early 1990s. Over the ensuing decades, China embarked on a widespread effort to acquire Russian military technologies, reverse-engineer that technology, and then indigenously mass-produce similar technologies adapted to Chinese specifications. That period however may be rapidly coming to a close as many China analysts assess that China has now transitioned from a Russian technology-dependent force to a truly indigenous production force. In fact, China’s most recent procurement of Russia’s technologically-advanced Su-35 FLANKER S fighter aircraft and S-400 strategic-level surface-to-air missile (SAM) system, touched on by Rupprecht on page 18, may be the last significant items on China’s military hardware shopping list. Another example is found in Chapter Three which Rupprecht opens by stating, “The issue of Taiwan is a very special one for the PRC, and certainly the top priority in regard to the PLA’s modernization drive. This is clearly indicated by the official order of protocol, which lists the responsible Eastern Theater Command first.”8 Although the Eastern Theater may have primary responsibility for the Taiwan issue, the extraordinary political, strategic, and economic significance of the Taiwan dispute represents a “core interest” of China. This fact cannot be overstated. The entire essence of Chinese military modernization efforts over the recent decades have been in direct support of the possible requirement to take back Taiwan by force should alternative means of reunification prove fruitless. As Chinese Communist Party legitimacy would ride on the success or failure of a PLA campaign to “liberate” Taiwan, an effort of this magnitude would involve PLAAF and PLANAF assets from multiple Theater Commands, something Rupprecht’s narrative and order-of-battle charts do not capture. The geography, the respective sovereignty claims, and the strategic and operational scope of each Theater Command’s responsibilities matter greatly with respect to China and its ambitions. Each chapter ends with a wonderful map that provides a highly informative, geographical illustration of each respective theater. The geographical impact of each chapter’s flashpoints may be better served however by moving each chapter’s map to the beginning of the chapters rather than the end. Rupprecht’s best work is reflected in Chapter Four. China’s sovereignty claims and the controversial Chinese land reclamation and infrastructure construction activity in the Spratly Islands in the South China Sea (SCS) presented in Chapter Four are definitely the most contentious issues facing the Southern Theater Command. And here Rupprecht does not disappoint. The author allocates numerous pages to both describe and illustrate the significance of the SCS dispute to China, its regional neighbors, and the U.S. Just as in Modern Chinese Warplanes, Rupprecht has included spectacular, colored photographs of various Chinese aircraft into Flashpoint China. 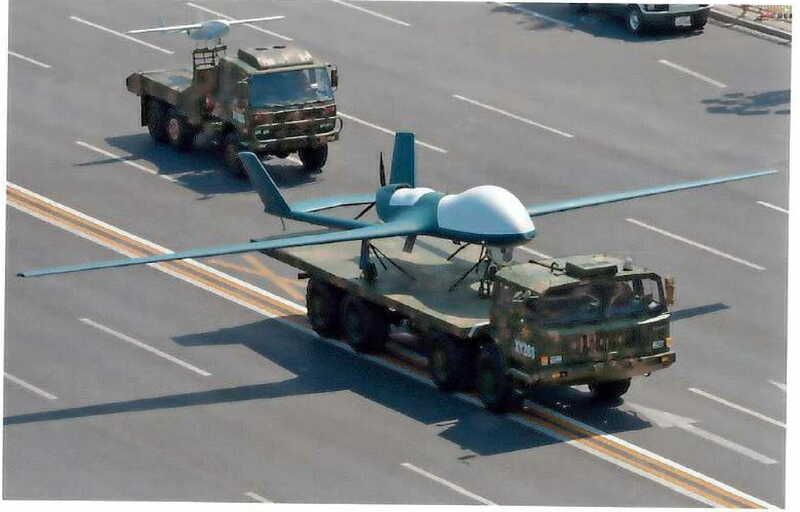 Various PLAAF and PLANAF fighters, reconnaissance and transport aircraft, along with unmanned aerial vehicles (UAV) are presented in wonderful detail throughout the book. Chapter Four however is especially unique for its inclusion of vivid photographs of China’s land reclamation and infrastructure construction activity in the Spratly Islands. How Chinese, U.S., and regional neighbors approach this issue politically, diplomatically, and militarily carries significant strategic, operational, and tactical implications. History has proven how a single tactical event in the region can carry immediate and substantial strategic implications. For example, the infamous EP-3 incident of 2001 provides just one example of how tactical miscommunication and miscalculation can have significant strategic implications.9 These type of airborne interactions continue on a regular basis as U.S. reconnaissance aircraft operate in international airspace over the SCS. Chinese fighter aircraft routinely intercept the U.S. aircraft, sometimes operating outside the assessed bounds of safe airmanship. Japanese fighters also come into regular contact with Chinese aircraft, regularly scrambling to check Chinese airspace incursions over the ECS and through the Ryukyu Straits. These tactical events often receive attention from the government and military leaders of the respective countries and occasionally result in public demarches. Finally, the most impactful flashpoint for China in the Western Theater, presented in Chapter Five, regards India. Typically the issue between the two countries revolves around unresolved border disputes; however, much to India’s chagrin, China also continues to advance its military-to-military relationship with India’s rival, Pakistan. This is especially relevant for Rupprecht’s efforts within Flashpoint China as Pakistan’s Air Force and China’s PLAAF conducted the sixth consecutive iteration of the annual “Shaheen” series of joint exercises in 2017. Since its inception in 2011, the Shaheen exercise series has consistently grown in complexity and scope, incorporating a wider variety of PLAAF aircraft and platforms such as multi-role fighters, fighter-bombers, airborne warning and control system (AWACS) aircraft, and surface-to-air missile crews and radar operators. In Flashpoint China Andreas Rupprecht ambitiously attempts to couple the highly complex geopolitical environment surrounding modern day China with the PLAAF and PLANAF’s ever-evolving order of battle and force projection capabilities – an assignment with which even the most renowned scholars would struggle, especially within the allotment of so few pages. 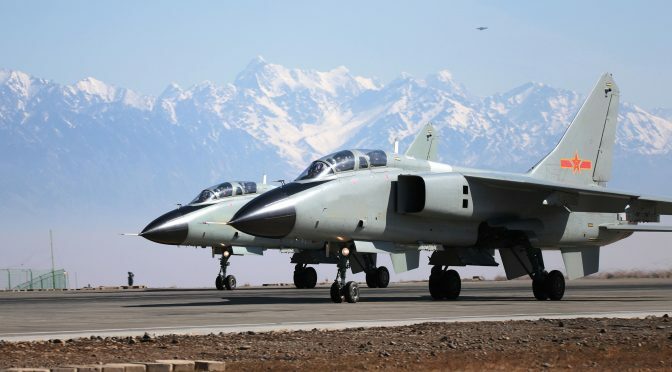 Via the well-structured narrative and fabulous photographs, Flashpoint China goes a long way in tackling the question of what PLAAF and PLANAF assets could China bring to the fight should a military conflict occur at any of the presented flashpoints. Readers however would have certainly enjoyed reading the author’s assessment of how might the PLA use its air power in support of Chinese military intervention into these contentious hotbeds. But this may have to wait for another day. Still, if brevity of space and time were the only options available to the author, then Flashpoint China can certainly prove useful as is. However, with even some minor content and structural improvements, the book could prove irreplaceable. LCDR David Barr is a career intelligence officer and currently serves as instructor with the National Intelligence University’s College of Strategic Intelligence. All statements of facts, analysis, or opinion are the author’s and do not reflect the official policy or position of the National Intelligence University, the Department of Defense or any of its components, or the U.S. government. 2. Rupprecht, Andreas. Flashpoint China, Chinese Air Power and Regional Security. Houston: Harpia Publishing, 2016. p. 9. 5. Rupprecht, Andreas. Flashpoint China, Chinese Air Power and Regional Security. Houston: Harpia Publishing, 2016. p. 21. Written by W. Alejandro Sanchez, The Southern Tide addresses maritime security issues throughout Latin America and the Caribbean. It discusses the challenges regional navies face including limited defense budgets, inter-state tensions, and transnational crimes. It also examines how these challenges influence current and future defense strategies, platform acquisitions, and relations with global powers. “The security environment in Latin America and the Caribbean is characterized by complex, diverse, and non-traditional challenges to U.S. interests.” Admiral Kurt W. Tidd, Commander, U.S. Southern Command, before the 114th Congress Senate Armed Services Committee, 10 March 2016. 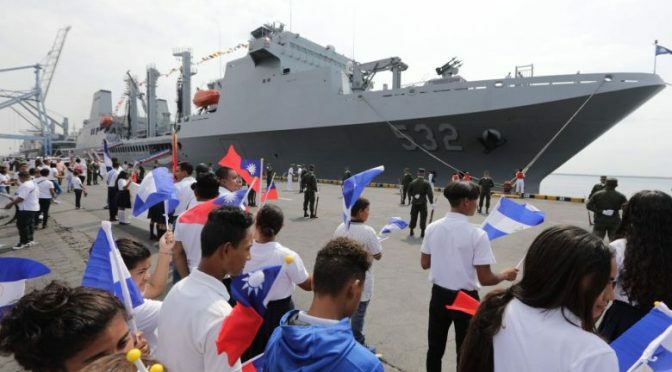 A three-ship training flotilla belonging to the Republic of China (ROC/Taiwan visited Central American and Caribbean states as Taipei strives to maintain close ties with regional allies. Taiwan regularly sends high-ranking defense officials and flotillas as part of goodwill initiatives in the Western Hemisphere, these initiatives will be even more important as the Dominican Republic announced at the end of April that it would sever relations with Taiwan and establish them with the People’s Republic of China. Taiwan’s friendship flotilla No. 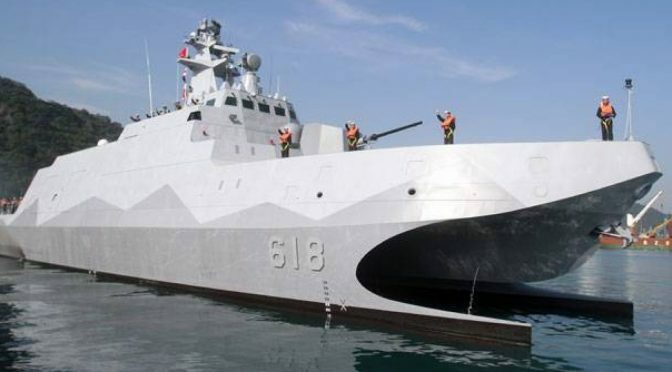 107 (Flotilla de la Amistad in Spanish), is comprised of “Pan Shi, a modern and sleek Fast Combat Support Ship, Pan Chao, an older, U.S.-designed frigate, and Kuen Wing, a more recent, French-made stealth frigate,” according to AFP. There are around 800 personnel on board in total, including an unspecified number of cadets from the ROC Naval Academy who are utilizing the voyage to learn how to operate in the high seas. The flotilla commenced its training voyage by first visiting the Marshall Islands; while in the Western Hemisphere it visited the Dominican Republic, El Salvador, Guatemala, and Nicaragua. The local and Taiwanese media have covered the visit during each port call. For example, the Nicaraguan newspaper El Nuevo Diario has noted that the last time a Taiwanese flotilla visited the Central American country was in 2016 while other outlets mentioned that this is the sixth time that such a visit has occurred. Even with recent advances in naval technology and the ability to resupply at sea, it is still necessary for vessels traveling far from their nation’s territorial waters to be allowed to dock at friendly ports and conduct exercises with friendly naval forces from other nations. The problem is that Taiwan is running out of ports in the Western Hemisphere to dock its naval platforms and engage in constructive naval initiatives with friendly forces as regional governments switch from recognizing Taipei to Beijing. As previously mentioned the DR switched at the end of April, Panama switched in 2017, while Costa Rica did the same a decade ago, in 2007. The DR’s switch is somewhat embarrassing to Taipei, as the flotilla docked in Santo Domingo in mid-April, only to have the Dominican government switch to Beijing two weeks later. While Beijing is gaining new allies in the Western Hemisphere, Chinese naval presence in Latin America and the Caribbean is pretty limited: a destroyer Shijiazhuang and the supply ship Hongzehu visited Chile in 2009; four years later, destroyer Lanzhou and frigate Liuzhou visited Argentina in 2013. 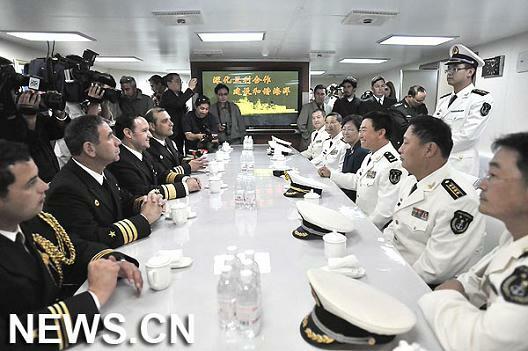 Additionally, China’s Peace Ark (866 Daishan Dao), a Type 920 hospital ship that is operated by the People’s Liberation Army Navy, has visited the Western Hemisphere as part of “Harmonious Mission 2011” and “Harmonious Mission 2015.” Nevertheless, if more regional governments recognize Beijing (and there are constant rumors about which will be the next country to do so), and as Beijing seeks to project its naval presence well past its borders, there may be a larger Chinese naval presence in the Western Hemisphere in the coming years. Additionally, given ongoing tensions with China, there have been a number of reports about the Taiwanese Navy undergoing a modernization process to obtain new platforms. There have been similar discussions in Washington regarding what kind of weaponry should the U.S. sell Taiwan. It is worth noting that in 2017 the Taiwanese Navy received two decommissioned Oliver Hazard Perry-class frigates but ongoing Washington-Beijing tensions seem to hint that more modern equipment (including submarine technology) could be sold to Taipei as part of ever-changing geopolitics in Asia. While the recent visit of a Taiwanese flotilla will not affect Central American or Caribbean geopolitics, its use is more symbolic, as it demonstrates that the Asian nation strives to maintain diplomatic relations with its remaining friends in the Western Hemisphere. Taiwan’s naval diplomacy, unlike similar initiatives by other countries, is not so much about maintaining cordial defense relations, but maintaining diplomatic relations. Countries like El Salvador and Nicaragua still recognize Taiwan, but the recent loss of DR, which occurred right after the flotilla visited the country, is an example that such initiatives, defense and others, must be constant. W. Alejandro Sanchez is a researcher who focuses on geopolitical, military and cyber security issues in the Western Hemisphere. Follow him on Twitter: @W_Alex_Sanchez. A growing China is shifting the balance of power in East Asia. The question remains: Should the U.S. engage or contain China’s rise? Containing a country of 1.3 billion people will be a costly option, economically and militarily. Joseph Nye at Harvard University warns that if the U.S. continues to treat China as the enemy, then they are certain to have an enemy.1 Thus, it is in the United States’ best interest to pursue positive relation with China. One of the most pressing issues that stands between the U.S.-China relation is Taiwan. Reunification with Taiwan is deeply rooted within Chinese nationalism, and many see the island as stolen land that needs to be returned to China. On the other hand, with a growing national identity and political differences, Taiwan aims for independence. There are three most likely outcomes in this conflict: Taiwan declaring independence, maintaining the status quo, or reuniting with China. In order to maintain positive relation with China, the U.S. should not bolster Taiwan’s confidence to declare independence. China is bent on reunification because it is essentially their unfinished civil war. Zhu Bang Zao, the spokesperson for the Chinese Foreign Ministry, made their stance very clear: “Taiwanese independence is equal to war.”2 Zhu reaffirms that China wants a peaceful solution to reunify with Taiwan. For that reason, they are patiently relying on the forces of economic integration. 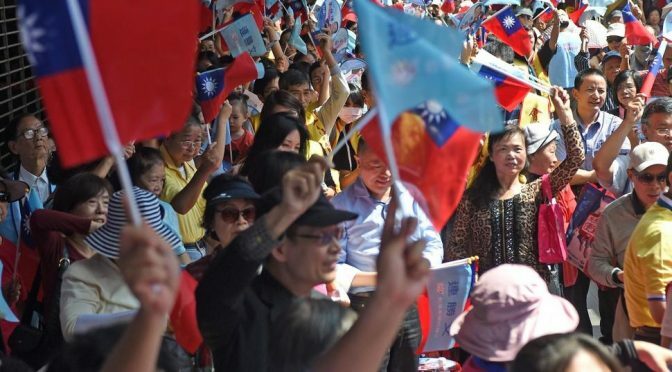 At the same time, the survey conducted by National Chengchi University in Taiwan reports that 80 percent of the respondents prefer the “status quo”3 in relation with China; however, Taiwanese are not willing to pursue independence at all cost. When asked to choose either establishing formal independence or maintaining economic ties with China, 83 percent chose the latter. It is clear that although both parties articulated different futures for Taiwan, neither want an armed conflict. The commitment to a nonviolent solution forces both Taiwan and China to operate within a gray area of quasi-independence. It is not the U.S.’ job nor is it in the U.S.’ interests to define that gray area. U.S. military intervention could ignite a global conflict and push China to be more aggressive than it actually is. Until now, the U.S.’ stance towards Taiwan is best described as a balance of optimism and realism. The United States accepted the One China policy but signed a treaty to defend against Chinese military aggression. Deputy Secretary of State Antony J. Blinken stated that Taiwan “showed the world what a mature, Chinese-speaking democracy looks likes.”4 The U.S. hopes that this beacon of democracy can influence China’s transformation. That is also the exact reason why China is fixed on reclaiming Taiwan – Taiwanese independence threatens the current regime. Despite the admiration, the U.S. is not committed to going to war with China over Taiwan, and for good reasons. Thus, the U.S. should not bolster Taiwan’s confidence by overpromising and underdelivering in the future. Currently, Taiwan spends less than 2 percent of their GDP on military spending.7 Thus, the small island will be relying on foreign powers to come to its defense. If Taiwan, convinced of U.S. support, declares independence, this will lead to war with China. There are two paths with one likely outcome. One, the U.S. fails to come to Taiwan’s defense, and China invades Taiwan, forcing reunification under Chinese terms. In this outcome, the U.S. will lose credibility among allies in the region, and it can cause China to become more belligerent. Two, the U.S. enters the fight to protect Taiwan, draws in the rest of the world, and starts another global conflict. No matter the victor of the war, Taiwan’s economy and infrastructure will be destroyed. It will break the U.S.-China relation, causing an economic slowdown in the global economy. Considering the consequences, the two countries are dedicated to peaceful solution, and the U.S. should follow suit. In the meantime, the U.S. should avoid instigating aggression from the Chinese towards Taiwan. The U.S. should honor the Taiwan Relation Act in 1979 and promote diplomatic, cultural, and economic exchange; however, the U.S. must not directly engage in armed conflict with China. The U.S. can continue helping Taiwan maintain the status quo by selling weapons and expanding trade treaties. Taiwan has some time to build up their defense and economy to stand on equal footing with China, giving Taiwan more power when negotiating with China about how to define the gray area. This strategy allows the U.S. to maintain a salvageable relationship with China without completely abandoning Taiwan. The U.S. can rely on regional allies to develop a check against Chinese power by strengthening defense treaties and diplomatic ties. If China throws their weight around, it will naturally encourage check and balance behavior from their neighbors. But without U.S. presence in the region, they are likely to jump on the Chinese bandwagon. As China grows stronger, it will be more difficult for Taiwan to gain independence. The cost of defending Taiwan will also increase for the United States. The best scenario for Taiwan would be to accept the one country, two systems policy, while negotiating for better terms. The United States’ presence plays a large role in helping Taiwan maintain the status quo. But recognizing that the island’s de facto rule will not last forever, the United States needs to be prepared to lose Taiwan or fight China. Both economies will suffer greatly in an armed conflict. Thus, maintaining good relations with China is a better outcome for everyone. However, losing Taiwan doesn’t mean the U.S. will lose their foo hold in East Asia. As long the U.S. focuses on strengthening ties with regional countries, the U.S. can still plant its feet firmly in East Asia. Born to Chinese parents in Vietnam, Jenny Vuong naturally developed an interest for international affairs. At the University of California Irvine, Jenny is the student ambassador in the Dean’s Council for the School of Social Sciences. She is also the Resident Advisor to the freshmen Global Perspectives hall. During her second year, Jenny studied abroad in South Korea for a year, where she interned for People for Successful Corean Reunification Organization (PSCORE). In Fall 2017, Jenny will study abroad again in Yokohama, Japan. She is looking to pursue a Ph.D. in international relations with a focus in East Asia. In her free time, Jenny enjoys cooking, learning new languages, and playing tennis. 114th Congress, 2d sess. “Reaffirming the Taiwan Relations Act and the Six Assurances as Cornerstones of United States-Taiwan relations.” Congress. 17 May, 2016. Web. 28 Mar. 2017. Bang-Zao, Zhu. ” Why the Taiwan Issue is so Dangerous.” Interview. PBS. September 2001. Keck, Zachary. “China Can Attack Taiwan by 2020, Taipei Says.” The Diplomat. 9 Oct. 2013. Web. 29 Mar. 2017. Lin, Adela, and Ting Shi. “Taiwan Plans Military Spending Surge to Counter Rising China.” Bloomberg. 16 Mar. 2017. Web. 29 Mar. 2017. Nye, Joseph. “Only China Can Contain China.” Huffington Post, 2014. Taiwan Economy: 2016 Q1. Report. British Office. May 24, 2016. Web. 28 Mar. 2017. Wang, Austin Horng-en, Brian Hioe, Fang-Yu Chen, and Wei-ting Yen. “The Taiwanese see themselves as Taiwanese, not as Chinese.” The Washington Post. January 02, 2017. Web. 29 Mar. 2017. 1. Nye, Joseph. “Only China Can Contain China.” Huffington Post, 2014. 2. Bang-Zao, Zhu. ” Why the Taiwan Issue is so Dangerous.” Interview. PBS. September 2001. 3. Wang, Austin Horng-en, Brian Hioe, Fang-Yu Chen, and Wei-ting Yen. “The Taiwanese see themselves as Taiwanese, not as Chinese.” The Washington Post. January 02, 2017. Web. 29 Mar. 2017. 4. 114th Congress, 2d sess. “Reaffirming the Taiwan Relations Act and the Six Assurances as Cornerstones of United States-Taiwan relations.” Congress. 17 May, 2016. Web. 28 Mar. 2017. 5. Taiwan Economy: 2016 Q1. Report. British Office. May 24, 2016. Web. 28 Mar. 2017. 6. Keck, Zachary. “China Can Attack Taiwan by 2020, Taipei Says.” The Diplomat. 9 Oct. 2013. Web. 29 Mar. 2017. 7. Lin, Adela, and Ting Shi. “Taiwan Plans Military Spending Surge to Counter Rising China.” Bloomberg. 16 Mar. 2017. Web. 29 Mar. 2017.